Like many communities in the mountains, Washington County, Virginia has a lot of natural gas, and gas companies are eager to start drilling for it. Currently the Washington county zoning ordinance does not allow drilling. However that may soon change. This question was the topic of an informational meeting near Bristol on October 3rd 2011. 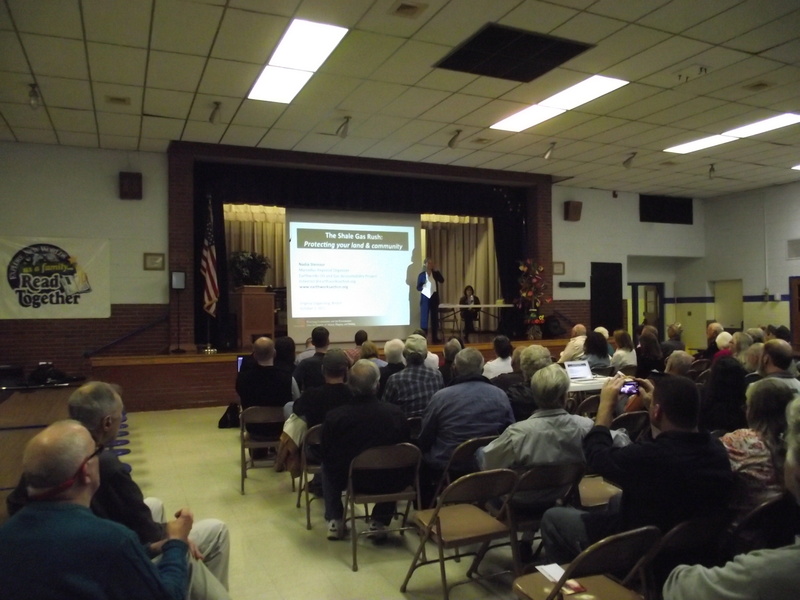 At the event, sponsored by Virginia Organizing, special guest Nadia Steinzer of earthworks oil and gas accountability project gave information about the national picture of drilling and spoke to residents’ concerns about the industry. Tom Fitzgerald of the Kentucky Resources Council explain landowner rights as they pertain to natural gas extraction. Juanita Sneeuwjagt, President for the Committee for Constitutional and Environmental Justice, sat down with us in October of 2010 to explain the escrow account situation that effects many people in southwest Virginia who are dealing with natural gas issues. Ferus nitrogen plant is being built in Jenkins KY. Joe Harris, plant manager, describes the purpose of the facility. The class action lawsuit between the landowners of southwest Virginia and two major gas producers in the region; EQT and CNX is ongoing. We are currently gathering stories, please click here if you have a story relating to natural gas that you would like to share.